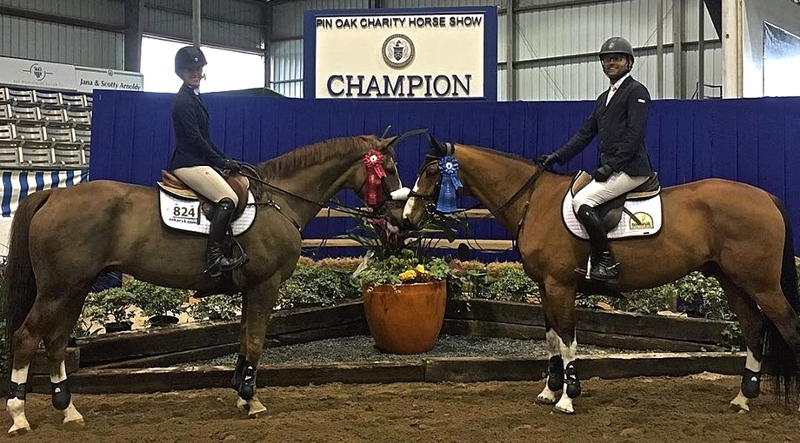 Michael Tokaruk and Vanrock put in clear rounds to win six classes during the two week Pin Oak Charity Horse Show. Photo Shawn McMillen. 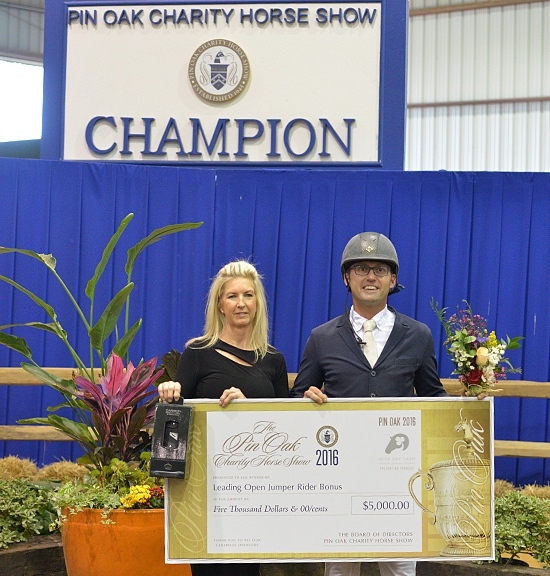 Katy, TX – April 5, 2016 – Michael Tokaruk of Collierville, Tennessee, collected numerous top ribbons in the jumper ring during the two weeks of the Pin Oak Charity Horse Show in Katy, Texas, with his talented string of jumpers. His consistency earned him the $5,000 Leading Open Jumper Rider Bonus at this long-standing prestigious horse show. One of his big money earners was Alex Turner’s Vanrock, who won the 7 year-old Young Jumper Championship at the Kentucky National last September. 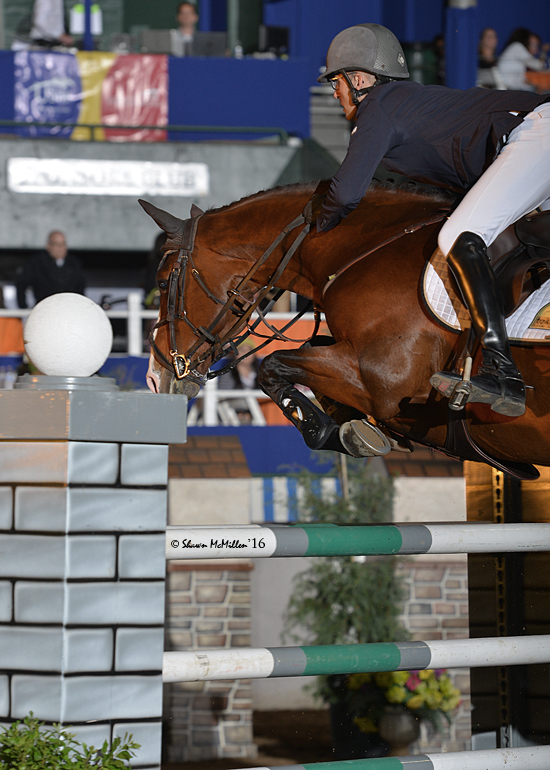 The young horse won six classes over the two weeks of Pin Oak between the 1.25m and 1.35m jumpers and earned the championship in the 1.25m. Another blue ribbon winner in the 1.35m for Tokaruk was Troya Montecristo, owned by Castle Point Farm LLC and Lindsay Strafuss. Tokaruk also rode Strafuss’s second mount, United, racking up points for the leading rider bonus. Strafuss mounted up for the Amateur Owner Jumpers and earned the red ribbon for her second place finish on United in the A/O classic week two. She also took the second place spot right behind Tokaruk in the 1.35m jumpers on Troya Montecristo for a one-two punch for Tokaruk Show Stables. Moving into the Medium Amateur jumpers the second week, Strafuss stayed in the top five ribbons between her two mounts. 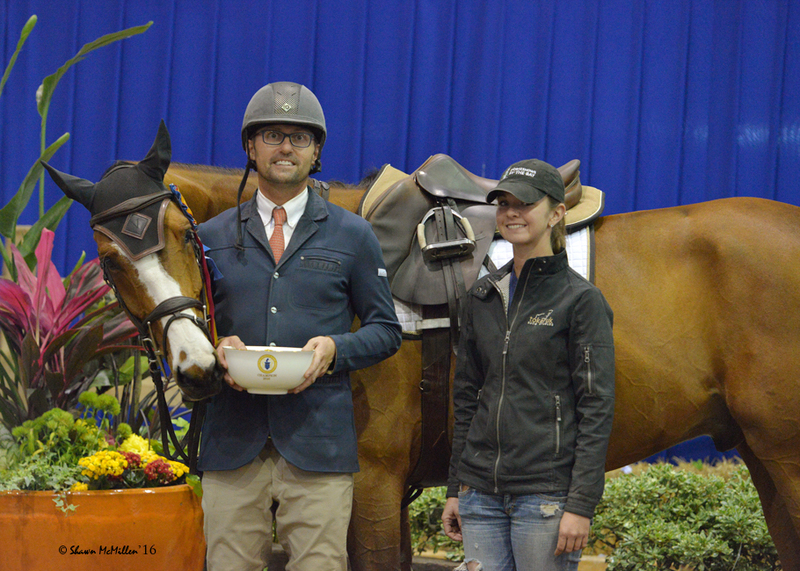 Michael Tokaruk and Vanrock with Lindsay Strafuss and Troya Montecristo celebrate taking the top two places in the 1.35m jumpers. In addition to client owned horses, Tokaruk piloted his sale horses to top ribbons. Baton Rouge, owned by Jennifer Gates, is a new ride for Tokaruk and still he earned top prizes in various divisions on this mount, including a top 10 finish in the $10,000 1.30m Gambler’s Choice. 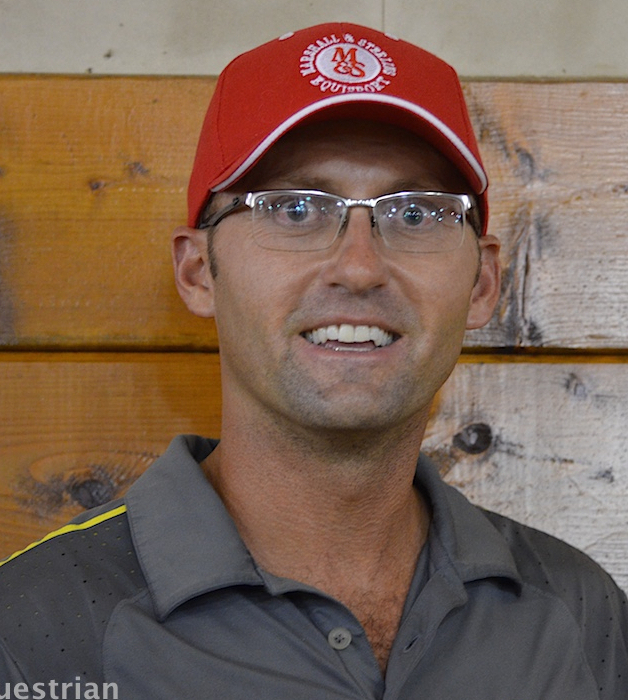 Tokaruk runs Tokaruk Show Stables, where he successfully trains hunters, jumpers and equitation riders and has a selection of quality horses for sale. For more information, please visit his website at www.michaeltokaruk.com or contact him through Facebook or Instagram @michaeltokaruk. Like this article? Sign up for more! !